Emergency services were called to Arbroath at around 2.30pm on Wednesday. A young woman has been airlifted to hospital after falling off a cliff in Angus. Emergency services were called to the scene not far from Victoria Park in Arbroath at around 2.30pm on Wednesday. 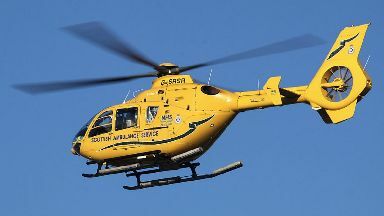 The woman, who is understood to be in her 20s, was airlifted to Ninewells Hospital in Dundee. Her injuries are not yet known. A Scottish Ambulance Service spokesman said: "We received a call at 2.27pm today to attend an incident in Arbroath. "We dispatched one ambulance to the scene."